http://youtu.be/2SqR43OL_ew GPSWorldTV talks with Stephan Spaulding and Emil Kobylarz of ITT Exelis at the ION GNSS 2012 conference. 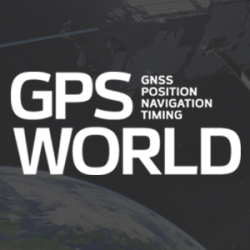 Geodetics Inc., in cooperation with Exelis, has announced the availability of a new Selective Availability Anti-Spoofing Module (SAASM) high-accuracy real-time kinematic (RTK) GPS capability. The new capability is based on a collaborative effort between the two companies.